On Thursday 28th October 1999 Wycombe Wanderers and dozens of its commercial supporters sponsored the only Flat Race Meeting in the Country at Royal Windsor Racecourse. The afternoon meeting included seven races and lots of attractions to entertain the kids during half-term. There was a children’s play area, bouncy castle and the opportunity to travel to and from Windsor Town Centre by boat. Manager Lawrie Sanchez and several Wycombe Wanderers players mingled with sponsors and supporters in the Tattersalls Enclosure and even Keith Scott turned up! The Club are hoping to make this an annual event. The Wycombe Wanderers Youth Team had an unlucky defeat in their first pool match in the Youth Alliance Cup at Molins Sports Ground on Saturday (23rd October). The team were leading Wolves 2-1 with five minutes left but two penalties in the dying minutes gave the visitors victory. Eddie Gray had given Wycombe an early lead before Colin Larkin equalised for Wolves. Johnny Dixon restored Wycombe's lead before Larkin completed his hat-trick from the spot. Larkin also scored against Wycombe in the Worthington Cup match earlier in the season. The Reserves lost 1-0 to Leyton Orient in the Avon Insurance Combination match at Adams Park on Tuesday afternoon. There were two new faces in the Wycombe team; Erik Pederson and Matthew Brady. Norwegian Pederson currently plays in the his home country where they have now entered the close season while Brady started out with Barnet but is now with Boreham Wood - Brady has since been signed on a months loan for Wycombe. Wycombe rested all their Youth Team players because of the Cup replay at Tonbridge on Wednesday evening. Wycombe Team: Osborn, Peterson, Beeton, Leach, Rogers, Holsgrove (sub 57 Senda), Bulman, Harkin, Baird, Emblen (sub Gray 77), Brady not used Gibson. Next week's home game with Bristol City in the Combination League Cup has now been cancelled due to the FA Cup replay with Oxford City. The draw for the Berks and Bucks Senior Cup has also been made and will see the visit of Chesham United on a date to be arranged during January 2000. Wycombe Wanderers Youth Team drew 2-2 with Tonbridge Angels (Paul Emblen's former club) in the First Round of the FA Youth Cup at Adams Park on Wednesday 20th October. Wycombe went ahead through Leeyon Phelon but fell behind in the second-half. Johnny Dixon scored a late equaliser for Wycombe to earn a reply to be played next Wednesday (27th October) kick-off 7.45pm. Wycombe came away from the midweek trip to Kenilworth Road with a point after a 1-1 with Luton Town. Jason Cousins had headed Wycombe into a 24th minute lead following a Steve Brown free-kick but Luton replied four minutes after the break with a similar goal through Stuart Douglas. Sean Devine saw a goal ruled out for offside on 55 minutes and Devine almost snatched victory with 10 minutes remaining but Nathan Abbey blocked in the Luton goal. Wycombe were too often frustrated by the Luton offside trap but will be pleased with a draw against a side who are still unbeaten at home. Wycombe Team: Taylor, Lawrence, Vinnicombe, Cousins, Bates, Brown, Ryan, Devine, Emblen (sub 78 Beeton), McSporran (sub 93 Senda), Simpson subs not used Rogers, Osborn and Harkin Att: 5,820. Full report on Chairboys on the Net. Wycombe's scheduled game with Wigan Athletic due to take place on Saturday 13th November will now be played on Friday 12th November (kick-off 7.45pm). The game has been moved due to the Scotland v England Euro2000 Play-off game taking place on Saturday 13th November at 2.00pm. This latest fixture disruption means that Wycombe have just one scheduled Saturday away game before the end of the year (Burnley 4th December). Wycombe will meet Ryman League Division One side Oxford City at Adams Park in the First Round of the FA Cup to be played on Saturday 30th October. Wycombe played City in a pre-season friendly back in July as part of the arrangement when Jermaine McSporran joined Wycombe from City in November 1998. Apart from the McSporran connection, Wycombe and City have a long history of previous meetings dating back nearly 100 years. The last time the Clubs met in the FA Cup was in 1959 when Wycombe won 1-0 in a fourth qualifying match. City reached this season's First Round with a 2-1 home victory over Salisbury Town. In the league City are four places off the bottom with two wins and one draw from eight games. Wycombe will be confident of going through to the next round but there will be no room for complacency after the farce against Basingstoke Town two years ago. In the event of a replay with Oxford City the game would also take place at Adams Park due to the confined nature of City's ground. Club Chairman Ivor Beeks said he "looked forward to a period of stability with Lawrie Sanchez" as he addressed Club Members at Monday evening's Annual General Meeting. After praising Sanchez for the miracle escape last season, members heard the Chairman stress the need to continue the development of the Youth Team, improve player discipline and increase accommodation for away fans. Financial Director Graham Peart confirmed that the Club had been losing £3,000 per week (excluding transfer activity) during last season, despite the fact that nearly all areas of income had showed an increase in turnover. He added "We need to operate in the transfer market like other lower league clubs" and ended his speech by saying "Our greatest challenge is to fill the stadium if we are to perpetuate this fairy tale". The Chairman confirmed that an EGM would be arranged within the next two or three months to vote again on the proposed changes to the Club's constitution. However, it was stressed again by Graham Peart that the changes were purely cosmetic and were not being done to allow a large "external cash injection" to be made to Wycombe Wanderers. Goals from First Team hopefuls Mo Harkin and Danny Senda helped Wycombe's Reserve side earn a 2-1 victory over Barnet at Adams Park on Tuesday afternoon (12th October) in the Avon Insurance Combination. Andy Baird had to leave the pitch injured just after the half-hour mark but it is thought that this was just a precautionary measure. The winning goal from Danny Senda came with just four minutes remaining and was a fine indivicdual effort. It was the first league victory of the season for the second XI. After last Saturday's thriller against Reading, Wycombe fans had another chance to show their support for Lawrie Sanchez's team when Cambridge United visited Adams Park on Saturday (9th October). A crowd of 5,345 saw a Sean Devine goal after 10 minutes take all three points and lift The Blues to sixth place in the table. Wycombe follow this with two away games - Notts County on Saturday 16th October and Luton Town on Tuesday 19th October. The next First Team game at Adams Park is on Saturday 23rd October when Blackpool are the visitors. Wycombe's Reserve side lost 5-2 to Luton Town at Kenilworth Road on Wednesday afternoon (6th October) in the Avon Insurance Combination. The Hatters had taken an early lead before Andy Baird was fouled by the Luton 'keeper and Danny Senda put away the penalty with 8 minutes gone. The home side then scored twice before half-time to lead 3-1. Andy Baird pulled one back for Wycombe on 49 minutes but despite a spell of pressure from The Blues, Luton scored two more goals in the dying minutes to confirm defeat. Wycombe Wanderers FC are offering all Students a seat or standing season ticket for the remaining 17 League matches after Cambridge for only £34. Offer only valid until the Blackpool match on 23rd October 1999. Wycombe Wanderers Football Club in association with AXA Assurance are giving 50 families the opportunity to have their photo taken with the F.A.Cup for free. By kind courtesy of AXA Assurance the original 1911 F.A.Cup will be coming to Adams Park for the day on Saturday 23rd October 1999. To enter the draw WWFC Season Ticket holders need to remove voucher “A”, put their name and address, age and phone number on the back, and hand or post it into the Commercial Offices at Adams Park or Wanderers in Town before 3pm on Saturday 9th October. Of the 50 drawn at 6pm on 9th October 1999, 10 will be Leagueline Members, who will be drawn from the Leagueline Barrel. All winners will be notified in writing of their allotted time on the morning of Saturday 23rd October 1999. Winners will have the option to have one free 6”x4” photo for free or a professionally taken 10” x 8” enlarged colour photo in a presentation folder (along with the negative) against a professional backdrop for only £15. Wycombe Wanderers Youth Team registered their first victory of the season when they overcame Brentford by two goals to one on Saturday at Molins Sports and Social Ground. An own-goal and a strike from Danny Senda earned the three points. The Youth Team will play Tonbridge Angels (Paul Emblen's former club) in the First Round of the FA Youth Cup. The match will take place at Adams Park on Wednesday 20th October - kick-off 7.45pm. Tonbridge beat Bromley 8-2 in the previous qualifying round. Wycombe's game with Reading on Saturday was the first chance for fans to show their support for the team since Lawrie Sanchez criticised the local community for not supporting the Club. Sanchez was upset that only an estimated 4,000 Wycombe fans turned up for the return leg of the Worthington Cup game with West Brom. The comments have prompted Sanchez to be linked with vacant Reading job as well as splitting fans' opinions on the good intentions meant by the comments. Some fans were demanding that the 'stayaways' made an effort to get to the Reading game while others believed that Sanchez's off-the-cuff remarks may just keep them away longer. The official attendance for the Reading game was just over 7,000, Wycombe's biggest gate since Sanchez's first game in charge against Fulham last February. Next Saturday (9th October) Wycombe entertain Cambridge at Adams Park where the missing fans will have the chance to fill the empty 3,000 places. Wycombe have been making steady progress in attracting back the missing fans ever since Sanchez arrived at Adams Park last February with the quality of football and entertainment levels reaching new heights for the Club. There were record Season Ticket sales during the summer and home attendances this season have averaged around 5,400 compared to 4,400 for the same period last season. As many football clubs have seen, it's a slow process to build up support but Wycombe appear to be on the right track. If the team continue to deliver and if the fans can be encouraged to stick together, spread the good word about Wycombe Wanderers, the missing fans (and new fans) will gradually return and Sanchez's plan to get into the First Division within three years (with Wycombe!) will be nearer reality. Wycombe fans missed out on the chance to question Manager Lawrie Sanchez in detail about his future intentions when he had to leave early at the fans forum held in the Vere Suite, Adams Park on Thursday 30th September. Sanchez was suffering from a sore throat as he joined referee Mike Hansley and assessor Tom Bune for an evening dedicated to discussions about refereeing. Club Captain Keith Ryan was also in attendance and concluded the evening by stating that with Lawrie Sanchez "We've got someone who's definitely heading in the right direction" An enthusiastic Ryan went on to say "With the games we've played we should be top of the league, confidence is everything and we're beginning to get that confidence" The event was organised by The Official Wycombe Wanderers Supporters Association and provided an enjoyable evening. Mo Harkin has been called up for the Northern Ireland Under-21 squad for the game with Finland on 8th October. The surprise call-up came after he was watched by Irish scout Chris Nicholl at a recent reserve game at Adams Park. Harkin has played just four minutes of First Team football in the last year and has still to prove his worth to Manager Lawrie Sanchez. Wycombe have signed West Ham and former England Youth Team goalkeeper Steve Bywater on a month's loan. 18 year old Bywater has been tipped for major honours in the future and made his Wycombe debut on at Blackpool on Saturday 25th September after Martin Taylor and Mark Westhead picked up hamstring injuries against Bury and West Brom respectively. 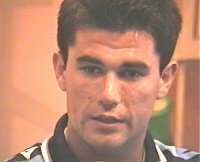 Bywater joined West Ham in February 1998 for a £300,000 fee from Rochdale before he even made his Football League debut. Other news has seen Dave Carroll sign a one year extension to his contract that will keep him at Adams Park until the end of the 2000/2001 season. Wycombe fans may have read in the local press that former Adams Family fanzine contributor Jon Dickinson had his car stolen during the recent visit to West Brom. Dickinson also had to fork out a £120 taxi fare home after missing the last train back to Wycombe. 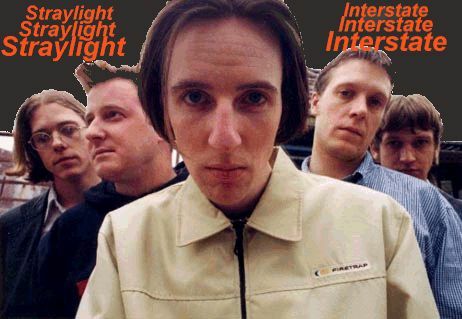 The Adams Family ceased production in April 1998 after six years amusing Wycombe fans but Jon and other contributors to the fanzine have been keeping busy with the formation of Straylight Interstate. The five piece band have played locally and also appeared in several showcase gigs in London, including Camden Underworld, Cairo Jacks and most recently Camden's Dublin Castle. The band play all their own material, with latest addition being a track called Devine. Influences include sounds derived from the early 80's new wave scene coupled with a 90's rock edge. Fans of Joy Division, The Fall, New Order, The Cure, U2, The Doors and The Manic Street Preachers will hear enough to be impressed. The band released their first CD in the summer featuring tracks We Got Soul, Picturesque and Bad Money. The CD is available from Scorpion Records High Wycombe.